Saving money can be a challenge under the best of circumstances. There always seems to be pressing needs for spending money that should go for a rainy day. The task is even harder when you are burdened with high-interest credit card debt. Those monthly payments eat into potential savings. Personal finance site Bankrate.com conducted a survey of consumers and found just 52% had more money in emergency savings than in credit card debt. That's about the same level as last year. However, 24% of consumers said their total credit card debt is greater than the amount of money they have set aside in savings, up from 22% last year. About 17% of consumers said they have no credit card debt, which is encouraging, but admitted they don't have any money in savings either. "Too many Americans haven't right-sized their savings relative to debt, and even those that have made progress still find themselves with an inadequate amount of savings," said Greg McBride, Bankrate.com's chief financial analyst. The older you are, the more likely you are to have more in savings than in credit card debt. 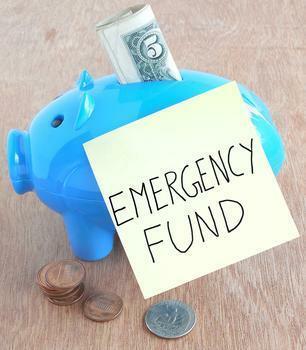 However, older Millennials, who came of age during the financial crisis, are more likely than their younger peers to have significant emergency savings. The report's authors expressed alarm at one other finding. Seniors age 72 and older are more likely than anyone to have no emergency savings, even if they have no credit card debt. The authors say it suggests that many seniors are surviving on fixed incomes with no wiggle room in their monthly cashflow. As you might expect, the higher a consumer's income, the more likely he or she is to have significant savings and little credit card debt. The balance between savings and debt begins to shift as income levels go down. The lowest income households are the most likely to have neither credit card debt nor emergency savings. Credit card debt is among the most toxic, since it usually carries a double-digit interest rate. It's also dangerous because it is so easy to run up large balances that are carried over month to month. If a consumer just makes the minimum monthly payment, he or she will make little progress in paying down the debt. To effectively reduce credit card balances, look at each month's bill for the monthly finance charge. Pay that amount, plus as much as you can toward the principal.